In this fictional narrative, Emilio makes a new friend at the farm. 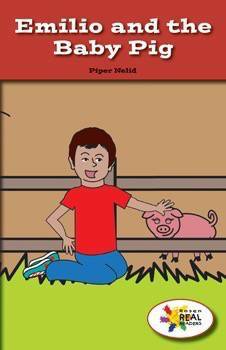 Bright illustrations and descriptive text will help readers learn about where pigs can live and what baby pigs eat. This fiction title is paired with the nonfiction title Baby Farm Animals.